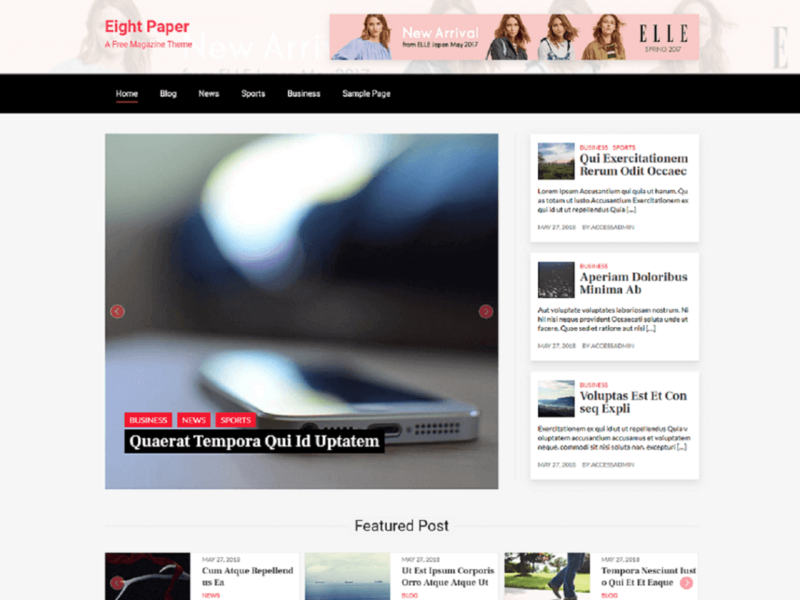 Eight Paper is a full-fledged magazine theme for WordPress. It is FREE but fantastic with all the great and latest WordPress features in trend today. Get your great moments captured and simply enjoy the popularity! It is a fully responsive and beautifully designed theme for the media, news bloggers, news journalists etc. and also for the portfolio websites. It offers homepage with the latest posts in grid format, category based grouping of posts, multiple blog layouts and many more. Share news – tell stories!